thanks to one of the super-talented students that i know and her delicious blog, i've been feeling the itch more and more to flex my baking muscles lately. i still haven't cracked open the little cakes from the whimsical bakehouse cookbook that my sister got me a little while ago (i'm not even going to get into how long i've had it - it's appalling actually), so i'm going to have to get on that right quick. 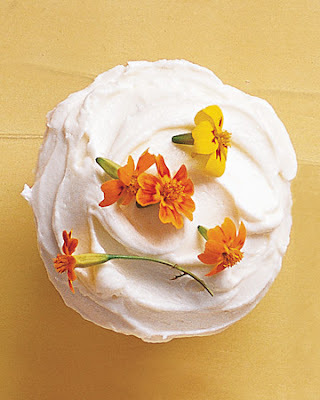 these oh-so-gorgeous masterpieces are by martha stewart - the edible flowers kind of fascinate me in a strange way. and tiramisu cupcakes? yes please! oh no you did not. torture. I am such a cupcake fan, this could be trouble! Ooohhh...YUM. Now I have to find the nearest bakery...pronto. they all look so delicious!!! I must go eat cake! mmmm... those look so delectable! 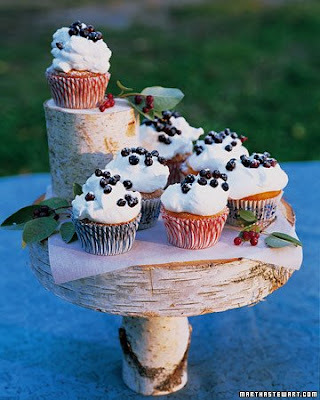 I'd love to have a ton of cupcakes for my wedding! 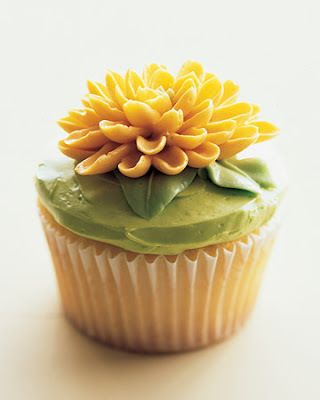 You should be in trouble for posting such a delicious post lol.....I want the yellow flower cupcake....drool. Ahh! You're adorable! 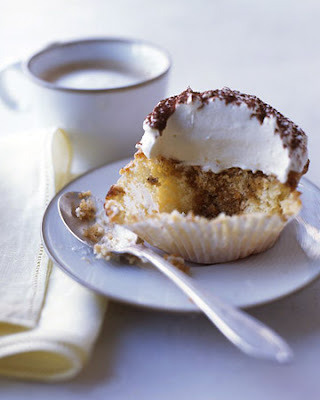 I'm actually working on doing a tiramisu cupcake very soon, similar to the one above I would imagine, but different - with that Rubber Pants touch! You are so, so mean to me! I haven't even had breakfast yet and I'm thinking about how long it would take to get down to our local bakery! ok, i am literally drooling over this post. they all look so good, but i think that chocolate-y one has my name all over it. Oh yum. I'm so hungry right now and lunch is 2 hours away and now I would about kill for a warm, delicious cupcake. Oh--wow how sweet and delicious looking. 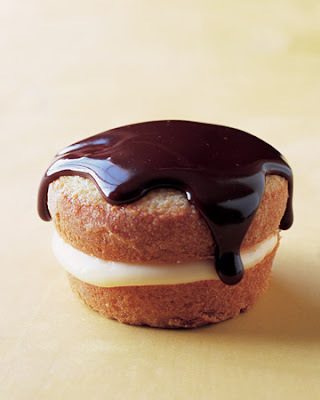 That Boston cream pie cupcake is especially adorable! The decorations on those are just beautiful. Now I want some cupcakes! ok, maybe just one sitcom.